Striped dolphins come together in spectacular groups of hundreds or thousands of animals. 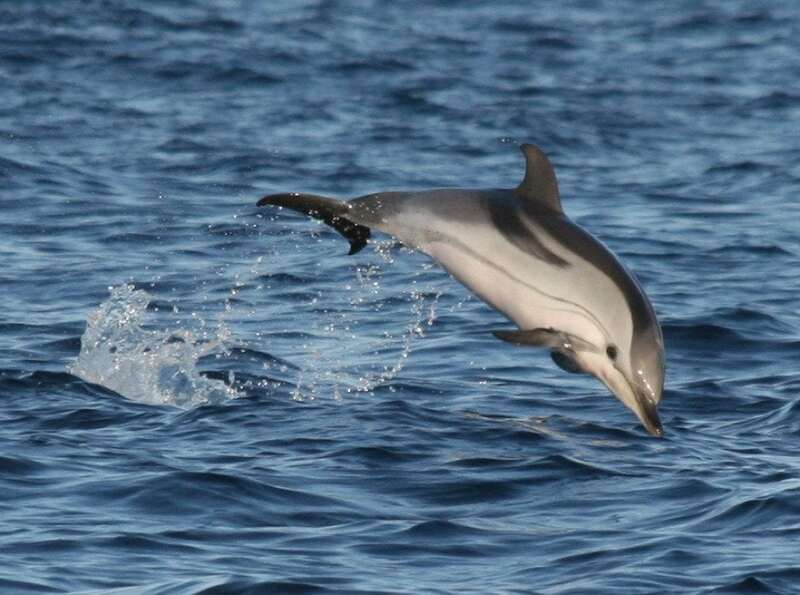 Striped dolphins are extremely active and fast and spend a lot of time at the surface. At top speed, up to one third of a pod can be above the surface at any one time and they can leap a distance of three times their length – putting any human long-jumper to shame! What do striped dolphins look like? Striped dolphins are relatively small, streamlined and colourful. As the name suggests, the most recognisable features are the ‘stripes’. A dark grey stripe runs from the beak, above the eye, across the flank and then down to the underside of the body. A second stripe runs below the eye to the pectoral flipper. 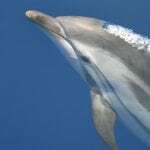 What’s life like for a striped dolphin? Fast and furious. 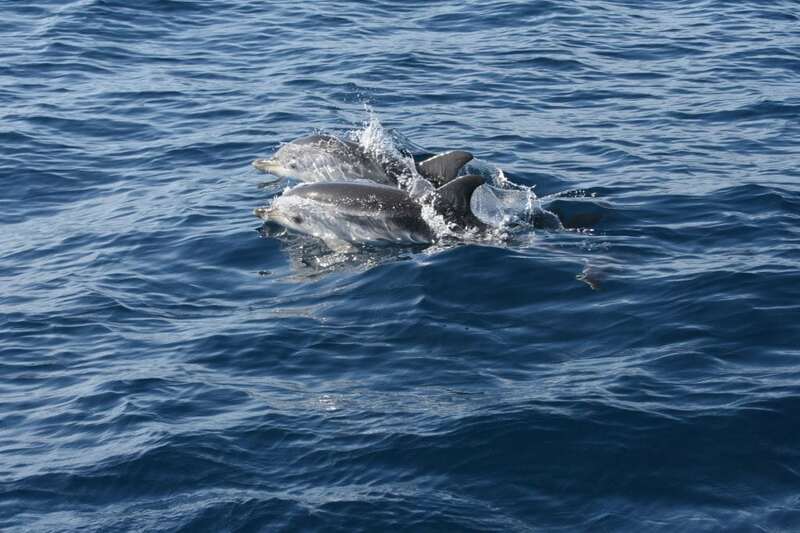 Striped dolphins are extremely sociable and travel in large groups – sometimes at top speeds. They are extremely active at the surface and perform some amazing acrobatics including somersaults, breaching, leaping and upside down porpoising. Life can also be dangerous as these little dolphins are targeted for their meat in several countries around the world, most notably in Japan. 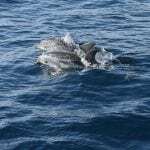 What do striped dolphins eat? Fish is a firm favourite for these little dolphins and they dine out on the smaller varieties, like lantern-fish, found in mid or deep water. They also enjoy munching on a squid or two. 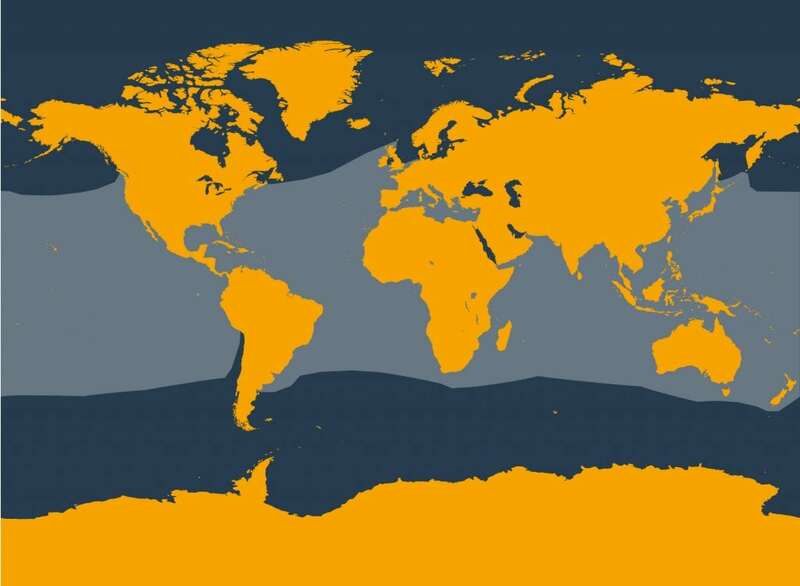 Where do striped dolphins live? Striped dolphins are widely distributed throughout the world’s temperate and tropical oceans. They tend to prefer deeper more offshore waters and can be found in oceanic waters over the continental shelves. Striped dolphins are incredibly curious and it seems love to play. They can seek out a boat from quite a distance away and will come bounding over to bow-ride and play in the wake. Sadly, this behaviour may be one of the reasons that they are targeted in such high numbers in the drive fisheries off the coast of Japan. Many human activities pose a threat to striped dolphins. 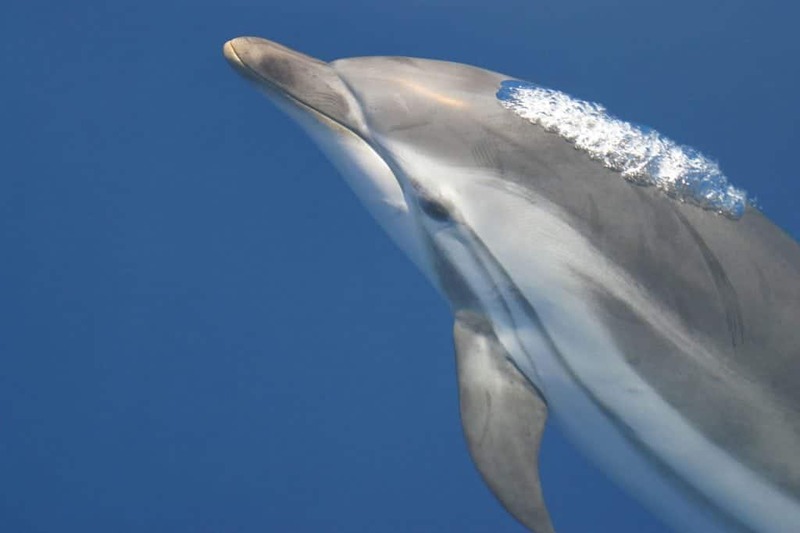 Hunting – drive hunt fishermen in Taiji, Japan target striped dolphins along with other species. 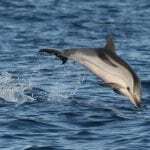 Pollution – toxic chemicals from plastics, litter and oil spills build up in striped dolphins, seriously harming their health and their ability to have young. Fishing nets and gear – striped dolphins get accidentally caught in fishing nets and lines, injuring or even killing them.